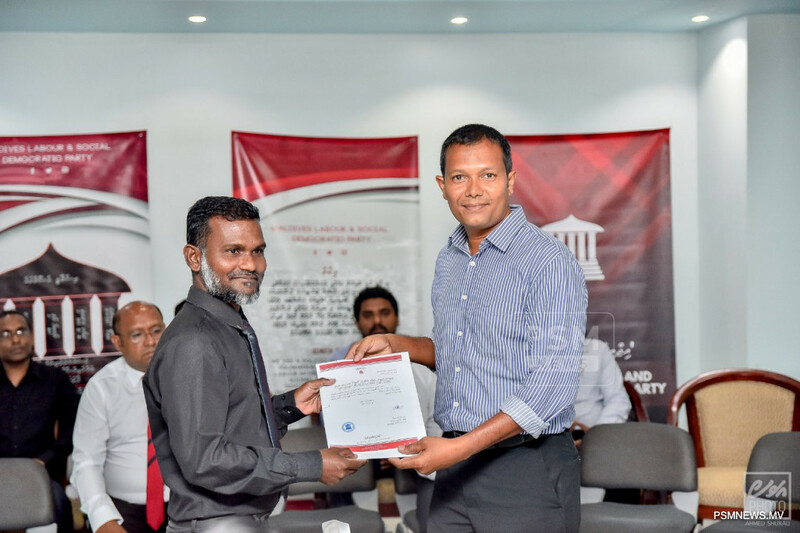 Maldives Labour and Social Democratic Party (MLSDP) has handed over party tickets to 10 contestants to compete in the upcoming parliamentary elections. The party tickets were granted at a ceremony held by the party leader Ahmed Shiham. Labour Party revealed they will be competing for 11 constituencies. However, tickets were handed over to all candidates except for Villimale’ constituency. On January 1, MLSDP granted party ticket to one candidate, Therefore, all 11 candidates have been granted the tickets to compete in the parliamentary elections scheduled to be held on April 6. MLSDP also announced plans to field more candidates in the coming days.